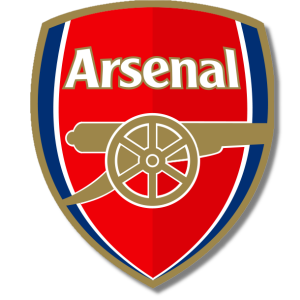 Add your Arsenal Football Club Badge stampette logo to your Facebook and Twitter page and show your support for The Gunners. Arsenal have won 13 First Division and Premier League titles and 10 FA Cups. Arsenal also holds the record for the longest uninterrupted period in the English top flight and is the only side to have completed a Premier League season unbeaten in the 2003-04 season.